One of the fundamental, indispensable laws of the Ashram is to initiate the day’s regimen at “Brahma Muhurta” , therefore all the inmates of the Ashram, rise early in the morning, freshen up, take their bath and congregate at the spacious Satsang hall, for the early morning prayers; the “pratah kaaleen sandhyopasna”. They are joined by the devotees from the city, who take part in this morning ritual with great enthusiasm.The Satsang hall then echoes with the melodious strains of ecstatic and divine bhajans, sung in praise of the lord with utmost devotion and fervour. 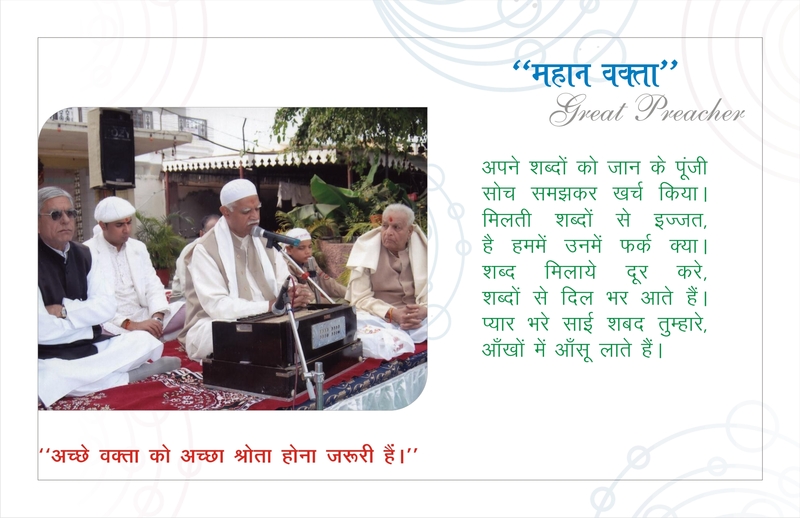 Generally, the satsang is scheduled for 4.00 am to 9.00 am every morning, and 5pm to 9pm every evening. Necessary alteration in the schedule is made in accordance with programmes slated for special occasions, festivals, birth and death anniversaries of saints etc. The Satsang includes, Katha, kirtan, Guru vani, Aasa-di-vaar, Anand Sahib, Rahiras Arti, Ardas, vachan sahib, meditation,discourses, Dhuni sahib, etc. Apart from the guruvani; saints, seers, erudite scholars, learned men, artistes, social workers, political leaders etc. visit the Ashram and bestow the congregation with the wealth of their knowledge. 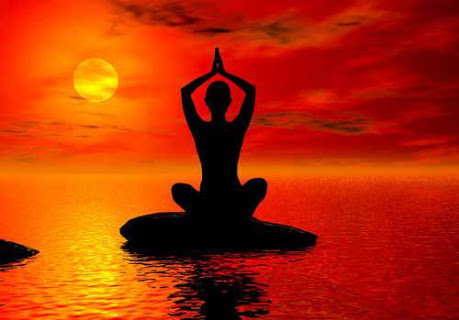 Yoga classes are conducted in the Ashram campus, in the early hours of the morning, to keep the mind and body healthy. These classes are conducted in the morning, before the satsang, under the expert guidance of Ashok Kevlani & Anju Kewlani. The yoga exercises proceed from the simple to the complex leading up to the stage of meditation. The ultimate aim of man is to attain God or reach the stage of self-realisation. Who can refute the argument that perfecting the yogic exercises and concentrating/ meditating upon God, enables one to attain that stage? When a yog sadhak meditates deeply on God, his worldly bonds and attachments are automatically severed. Unified with the Supernatural and Spiritual powers he is no longer affected by the material manifestations.Thus, yoga not only ensure good health it also pushes one forward on the path of spiritual realization. An inmate of the Ashram, Rev. Master Bulchand Sahib ji, who was once the chief court musician at the court of the king of Bharatpur; is always eager to impart training in music to the interested. Adept at playing musical instruments as well as being accomplished in vocal music, Master Sahib is an expert at Sindhi and Hindi classical music. His mellifluous voice impresses all. Several students are pursuing their musical aspirations under him. On usual days the Ashram’s kitchen caters to around 100 people, serving snacks and 3 meals times a day. This figure includes the volunteers and “sewadars” of the Ashram. The devotees who attend the satsang are also given “Prasad” at the end of the session. The Bhadara includes the morning tea and breakfast, the lunch at noon, snacks and tea in the evening and the dinner at night, apart from the Prasad distributed to all at the end of the morning and evening satsang.Seasonal fruits are also included as per their availability. This Ashram is worth of its name. The moment one steps into its precincts he experiences a sense of well being, (shiv) and is infused with peace (shanti).Memories, right from the time of its inception or birth till its present young age of 25 years, come surging into the mind. The images of the Ashram with its peaceful environs, the grand Darshan of the Darbar Sahib, the perennial chanting of various guruvanis, regular satsang and aarti, the Annakshetra with its incessant services, stand out distinctly and add to the magnificence and munificence of the Ashram. To the Known-unknown, rich-poor, happy-unhappy, the gates are open for all, and they are welcome 24 hours a day. This is the symbol of the benevolence and generosity of Sai Chandruram ji. The loving and passionate services rendered by the devout are a result of the encouragement and affection showered by Maharaj Shri. The contribution and “Kar Sewa”of each devotee in the construction of every wing of the Ashram, is an ode that echoes in the entire building. (As per the traditional Indian belief) 33 crore demigods (devatas) are served in the Ashram through the continuous service of cows. The various eye camps, homeopathic and ayurvedic hospitals, aid to the unemployed, or widowed, financial aid for education of children all enunciate that serving the needy and alleviating the pain of others, is equivalent to worshipping God. The collective thread ceremonies and marriage ceremonies, conducting a drive against meat-eating and alcoholism are an effort to improve and better the society. Behind all these noble deeds is the simplicity, humility, compassion, determination, conscientious efforts, devotion to the Guru, trust in God, love for all and Guru Krpa embodied in the master and mentor Sai Sri Chandruram Sahib. He stands as a source of inspiration, worthy of emulation by other social service organizations and even for the Saint fraternity. 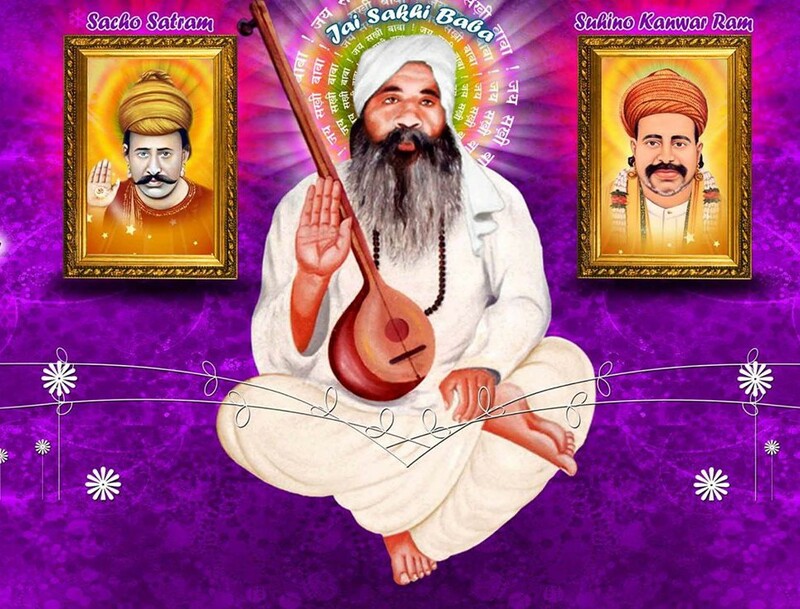 The Eternal Salvation Day of his holiness Sakhi Baba Asoodaram Sahib is commemorated each year with great fervour and devotion on the anant chaturdashi day of the Hindu calendar.The programmes are stretched over four days. Representatives, members, Spiritual and religious Gurus, Mahants and peethadheeshwars of various religious centres, along with innumerous devotees converge from all over India, for this function.